I am writing to tell you about the Global Labour Institute International Summer School. It’s an annual event held in Barnsley, England, that brings together trade union activists from across the world to talk about the most pressing issues facing our movement. This year, we had speakers from the US fast food campaign, the director of a film about the Marikana massacre, leaders of Bangladeshi garment workers’ unions, Chinese labour activists, Swiss unionists using that country’s system of referenda tactically to fight for change, and much, much more. It’s one of the most inspiring and crucial events in the international trade union calendar. If your union isn’t involved, you should be. Send delegates next year! For more info, contact Dave Spooner. USi live streamed and recorded the event this summer. The content is below, and it gives a flavour of what a unique event this was. The plenary sessions were filmed and live streamed, and they are all available at this playlist. We have more unedited footage too, and we hope to add that soon. There is a record of the sessions at the usilive.org/iss14 page. The same content is also available on the Global Labour Institute website. There is a page for each session that was live streamed. The page includes a video of the event, the slides, a reading list, some images of the speakers, and where possible a transcript or some text of the talk. If you participated in one of these sessions and feel that information is missing, please get in touch and we will add it. #ISS14: The Fall and Rise of Labour? #ISS14: Union-Party Relationships: Stay together for the sake of the children or get a divorce? #ISS14: Are we socialists, and what do we mean by “socialism”? A $2-an-hour boost to the minimum wage, scrapping the 90-day work trial, and a Commission of Inquiry to set industry standards are part of the Labour Party’s work and wages policy, launched today. 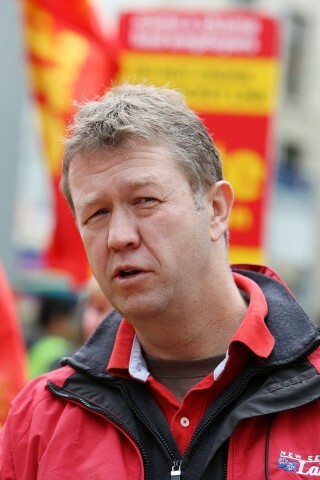 Labour leader David Cunliffe said within the first 100 days of taking office, he would repeal the 90-day trial for new workers, implement the Living Wage for public servants, and raise the minimum wage to $15 an hour, and to $16.25 in early 2015. Since the 1980s we have had drubbed into our heads that there was no alternative to the economic and social policies unleashed at that time. It even had it’s own acronym – TINA. The brutal reality was that wherever these policies were applied with force and rigour the growth rates declined and inequality and poverty grew massively. This was true for New Zealand, the US, the UK, and most of Latin America. Unfortunately for the Anglo-Saxon world there has not been much change. 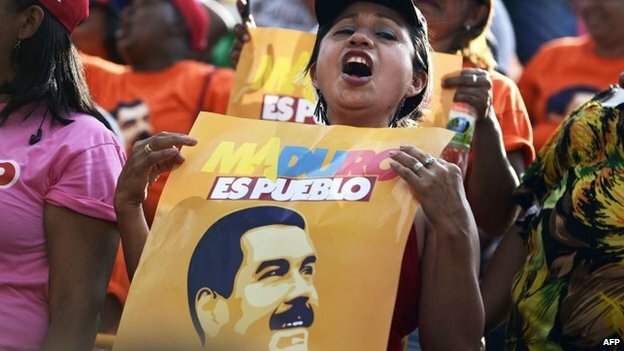 But in Latin America we have seen dramatic shift to the left in governments across the region. This includes Brazil, Argentina, Venezuela, Bolivia, Ecuador, Uruguay, Nicaragua, El Salvador and Chile. Left wing presidents in Honduras and Paraguay were overthrown in 2009 and 2012 respectively in US supported coups. There has beeen a flowering of social and economic policies that have recalimed national resources and directed social supports to the poor. As a consequence economic growth rates have improved (despite the 2008-9 world economic crisis) and poverty and inequality has been reduced in country after country. The range of policy options are pretty broad. We have the relatively mild left seen in Brazil under President Lula and now Dilma Rouseff from the Workers Party (WP). The WP never had a majority in their congress so it is hard to know what they would have done in those circumstances. However, they did preside over a major decline in extreme poverty rates from a relatively simple policy called bolsa familia which provides a cash payment family benefit to millions of poor families with the only condition being that the kids go toschool and get health checkups. Paying cash directly to families with children met stiff opposition. New Zealand also used to have a universal benefit that paid a cash benefit for all children. That was eliminated in the 19080s and been replaced with in work tax credits for the working poor.